This is the "Letter of Intent" that I submitted to the Department of Political Science at Florida Atlantic University. At first glance it seems incongruous that I want to get my Master’s degree in political science at Florida Atlantic University, since my primary interests are in political theory (especially ideology) and American politics and I take a qualitative approach, while FAU’s political science department emphasizes international relations and comparative politics, and quantitative methodology, but the incongruity is perhaps more apparent than real. FAU is the only university in North America which offers a graduate degree in English with a specialization in science fiction and fantasy literature, and I intend to pursue that degree as well as one in political science. But speculative fiction has been used to address political issues since long before H. G. Wells worked with the Fabians; depending on how one defines it, the tradition of political science fiction and fantasy goes back to either Thomas More’s Utopia or to Plato's philosophical fables of Atlantis and the Ring of Gyges. When truth becomes stranger than fiction, shouldn’t fiction return the favor? 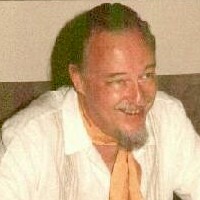 Ackerman, Bruce A. 2006. Before The Next Attack: Preserving Civil Liberties in an Age of Terrorism. New Haven: Yale. Ackerman, Bruce A., and Anne Alstott. 2000. The Stakeholder Society. New Haven: Yale. Anderson, Brian C. 2005. South Park Conservatives: The Revolt Against Liberal Media Bias. Washington, D.C.: Regnery. CNN Crossfire. 2004. “Jon Stewart’s America.” 15 October. Lakoff, George. 2004. Don’t Think of an Elephant: Know Your Values and Frame the Debate -- The Essential Handbook for Progressives. New York: Chelsea Green. Lakoff, George. 2002. Moral Politics: How Liberals and Conservatives Think. Chicago: University Press. Lakoff, George. 2006. Whose Freedom? : The Battle Over America’s Most Important Idea. New York: Farrar. Murray, Charles. 2006. In Our Hands: A Plan to Replace the Welfare State. Washington, D.C.: AEI. Murray, Charles. 1986. Losing Ground: American Social Policy, 1950-1980. New York: Basic Books. Miller, Matthew. 2003. The Two Percent Solution: Fixing America’s Problems in Ways Liberals and Conservatives Can Love. New York: Public Affairs. Satin, Mark. 2004. Radical Middle: The Politics We Need Now. Boulder: Westview. WorldNetDaily. 2006. “No Joke: ’Daily Show’ Substantive as Network News.” 5 October. magnificent points altogether, you simply received a emblem new reader.